Newer home, large decks, and each room is uniquely decorated with themes from Africa to Italy. Vaulted ceilings, and newer kitchen. Hardwood floors, carpets in bedrooms, the entire property is fenced in. Inn Above Tide is a 1 Bedroom 2 Bath Oceanfront Home located on Marine Terrace. Are you looking for the perfect place to escape to and enjoy your week long vacation? If so then you have found the right place! Large home upgraded and beautifully decorated, located in the prestigious Leimert Estates. You will be surrounded by trees, perfectly peaceful for relaxing on your vacation to Cambria. THIS HOUSE WILL EXCEPT LESS THAN 5 NIGHTS IN HIGH SEASON. The huntington house, offers a luxurious setting with breathtaking views of the CA coastline and open space of the Fiscallini Ranch preserve with which we share a fence line. Prepare to relax and refresh! Enjoy a relaxing get-a-way on Moonstone Beach. This fabulous home is located near great restaurants, stunning views, and peaceful walking trails- making Cambria living close to perfection! Walk the boardwalk or collect moonstones on the beach. 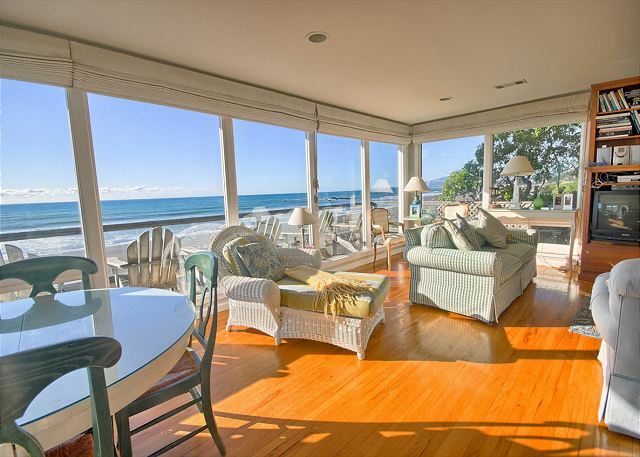 This premier home sits on Moonstone Beach with stunning ocean views. Walking distance to wonderful restaurants and downtown Cambria. Enjoy a relaxing day on the deck with breathtaking 180 degree whitewater ocean views. 3 bedrooms, 3 baths, 1 king, 2 queens. microwave, washer/dryer, dishwasher, TV/DVD, stereo/cd player, BBQ, wood burning fireplace, great deck overlooking the beach, wireless Internet. 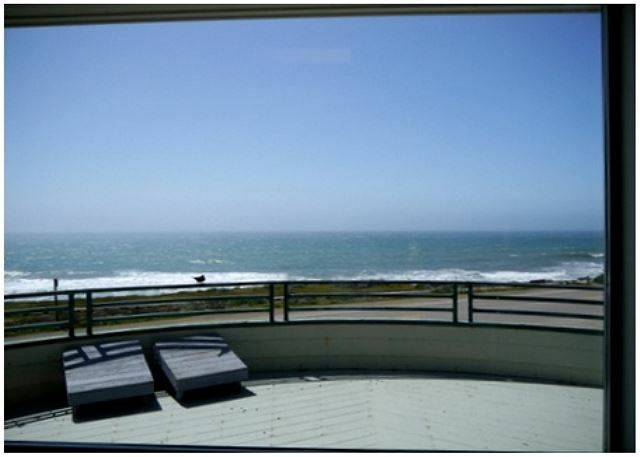 One level OCEANFRONT home on Moonstone Beach. 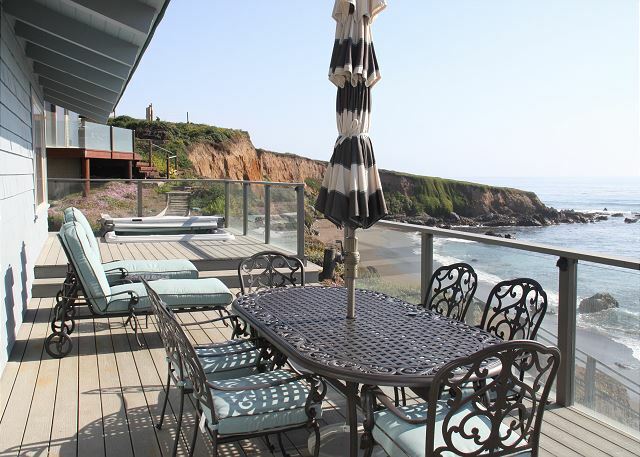 *PREMIERE PROPERTY* One of the finest, if not the finest, OCEAN FRONT homes in Cambria. This stunning home in exclusive Sea Clift Estates is just steps away from the Fiscalini Ranch bluff walking trails and has Private Beach access.